The Turret Room adjoins the Masters Room features a wooden style floor and a large Gothic bay window looking out to the spectacular views across the North Somerset countryside and over to Wales. 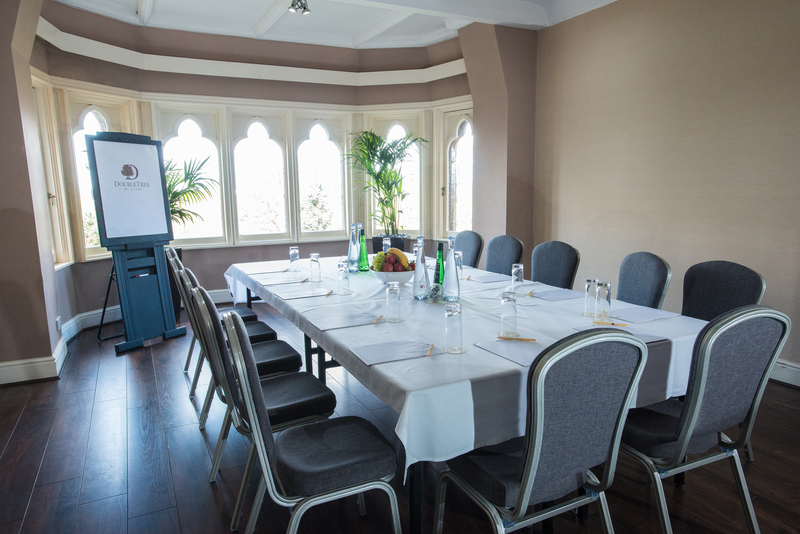 Situated on the third floor in the period part of the hotel The Turret Room has air conditioning, lots of natural light and is perfect as a breakout room or for meetings seating up to 20 in a boardroom style set up and 40 guests in a theatre style set up. It is also often used as a ceremony room for weddings and evening disco for private and corporate events. Breaks for The Turret are served in the nearby newly refurbished Conference Café. More space is available when hired in conjunction with the Masters Room and Box Room. The Turret Room is perfect for small conferences, reception and luncheons from 10 to 40 delegates.